I personally think that Chinese are resouceful people and I’m sure that applies to most people from impoverished countries where food is scarce. 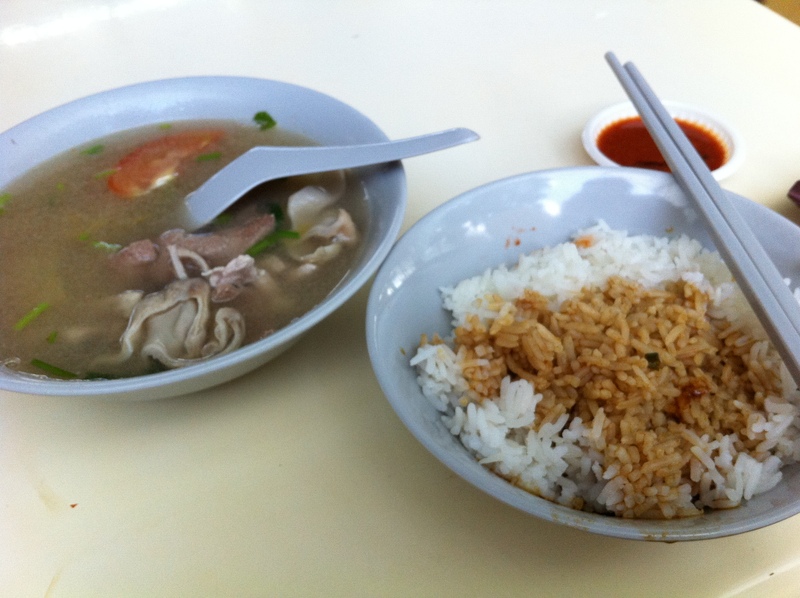 Chinese would eat all the parts of an animal if they are edible and I believe that’s what created the dish Pig Organ Soup. It has the big and small intestines, liver, kidney, fatty meat, lean meat and stomach of a pig. Gross as it may sound but our ancestors have been eating even more weird stuff than this. They used to add curded pig’s blood to the dish but it has been banned here ever since the Pig Virus broke out among pigs reared in our neighbouring country, Malaysia. The innards have to be washed throughly prior to boiling for hours in a pot and preserved salted vegetable is added to the clear soup. It is eaten with a bowl (or two if you’re a big eater) of white rice. I had braise sauce added to the rice hence the brown colour. It’s definitely not something for the faint hearted 😛 Would you eat it? 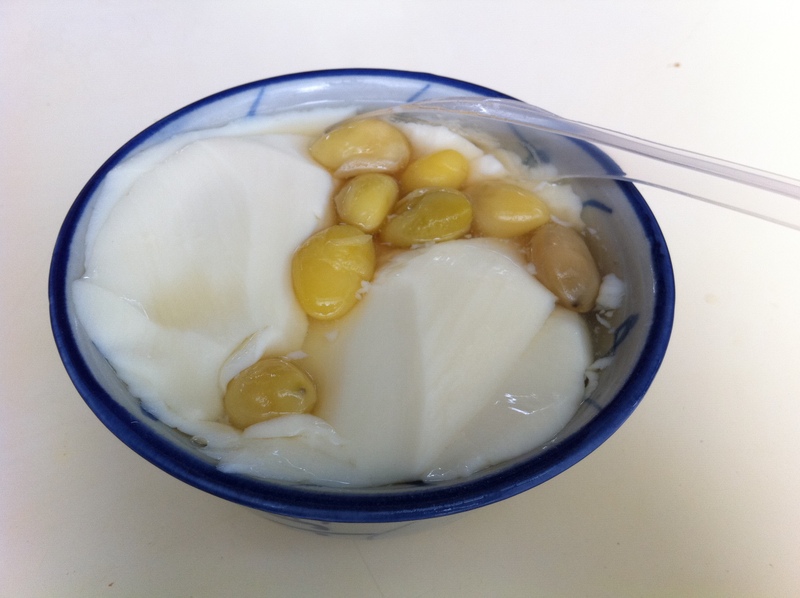 Dessert is smooth soya bean curd with gingko nuts. Sugary syrup added to it to make it sweet. It is refreshing and tastes like custard but much smoother. ummm. Don’t think I would. I’m just another picky American eater 🙂 Thanks again for the follow! Thanks for popping by. I don’t think many people not from this region will try a dish like this one.
. Now i think i dun even dare to hold the chicken by its neck. I remember eating the pig’s blood with you. But you did what??? Ugh, that’s a terrible way for the chicken to die 😛 Thankfully you don’t do it anymore. And there is no more pig’s blood in the menu. Phew!